The class enjoyed a time of fellowship and �catching up� on those present and also absent members. Class members who are ill were especially remembered. 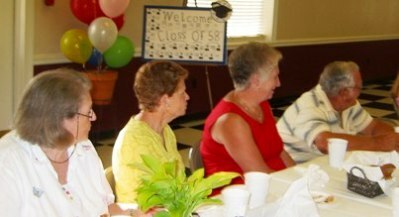 The OCHS Class of 1958 held its 52nd annual reunion on Saturday, June 19, 2010, at the Bogart Community Center. Approximately 20 original class members and a number of spouses were present. The host committee of Frances Pritchett Hogan, Ernestine Elder Malcom, Sarah Beale Fields, Jeanette Childs Ray and Annette Childs Chandler planned the event and prepared a delicious meal. There were lots of deserts and much banana pudding! 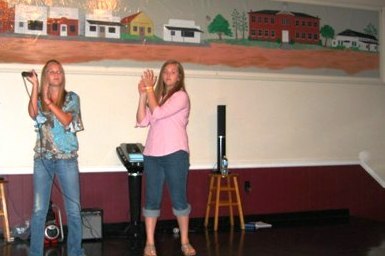 Entertainment was provided by Anna Chandler and Amelia Willis, granddaughters of Annette Childs Chandler. The 13 year old girls performed several songs and were joined by Grandmother for one song and dance. They are talented young ladies who were a hit with the audience. 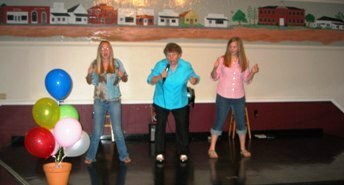 Anna Chandler, Annette Chandler & Amelia Willis – “Granny ‘Gettin Down’ on it”!! 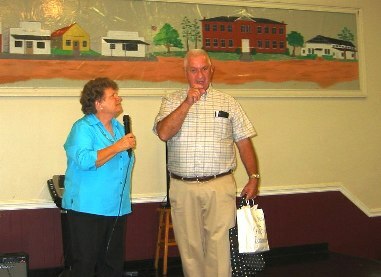 Door prizes were provided by Keith Barnett (of Bostwick) who also paid for other expenses of the event. Keith had also treated the host committee to restaurants for planning sessions. The committee thanked Keith publically for his contribution. Keith and Elizabeth Miller Bradberry of Madison are the only class members who have never missed a reunion. 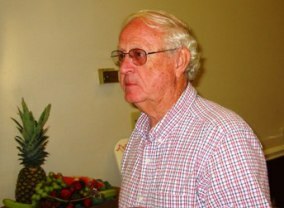 Keith Barnett recognized for contribution toward the 2010 reunion. Keith has attended every annual reunion since graduation. 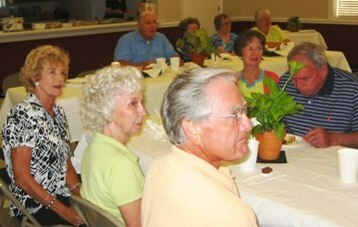 The class enjoyed a time of fellowship and ‘catching up” on those present and also absent members. Class members who are ill were especially remembered. 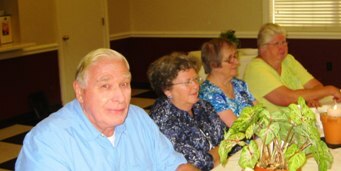 The host committee for 2011, June 18, (always Father’s Day Weekend) includes David Vaughn, Liz Bradberry, Caroline Anthony Eades, Pat McIntyre Bryant and Cecil Hammond. The Class will have Christmas Dinner at the Blue Willow Inn in Social Circle on the first Monday in December, another tradition. Sometimes the Class plans get-togethers at other times during the year. The Class of 58 was a close class and has maintained bonds of friendship over several decades. The Class has mourned the loss of 10 of its original members. DECEASED MEMBERS: Carolyn Wheeler Thornton, Died June 14, 1987; L. Ernest Elder, DiedJuly 21, 1989; Hazel Maxey McConnell, Died Oct 15, 1995; Eugene Cook, Died Oct 19, 2000; Gale Callier Whitehead, Died Jan 16 2003; Joyce Payne Eades, Died Dec 16, 2003; John Robert Michael, Died Dec 6, 2004; Bobby Brooks, Died May 11, 2006; Virgil Langford, Died June 19, 2006; Sonia Huff Lavender, Died May 8, 2008.